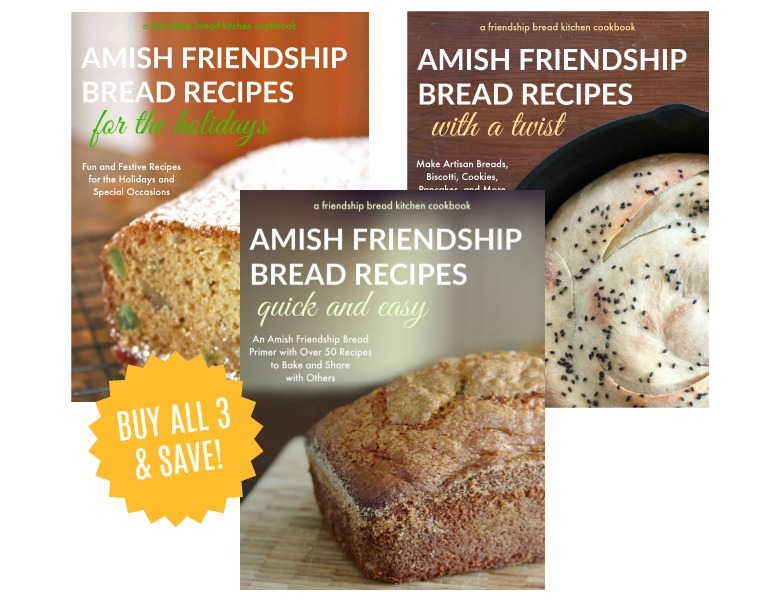 Rustic Potato Amish Friendship Bread is a favorite recipe that’s soft on the inside and crusty on the outside and perfect for sandwiches! The rise time for this bread is very flexible. 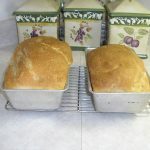 We baked a loaf after 6 hours of rise time and another after 12 hours of rise time, and both turned out the same. 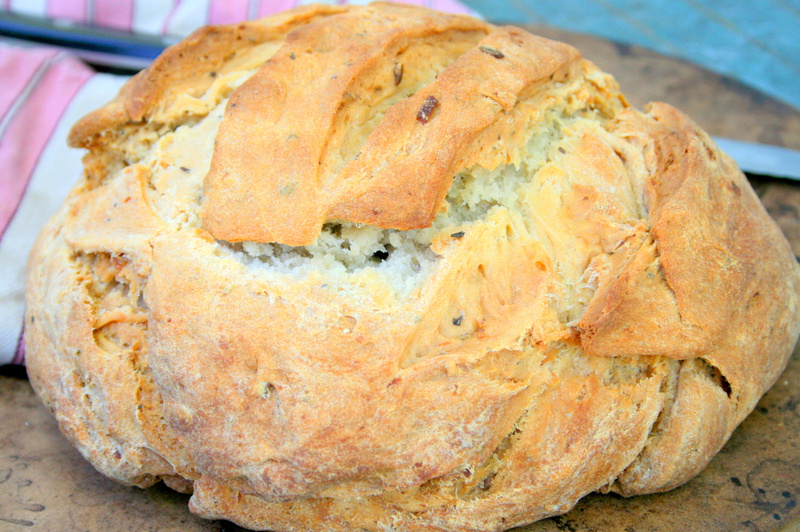 This bread is a great way to use up those leftover potatoes in your fridge. You can also get creative with your seasonings and flavors. Instead of basil and garlic, experiment with other seasonings. 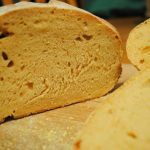 You can also experiment with different add-ins like bacon and cheese to make this bread the perfect loaf for your family dinner. 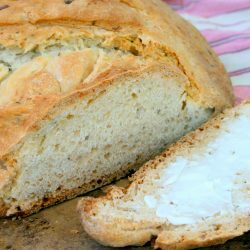 Rustic Potato Amish Friendship Bread is a favorite recipe that's soft on the inside and crusty on the outside, and perfect for sandwiches! In a large mixing bowl or stand mixer, add all the ingredients except flour. Mix until just all the ingredients are combined. Slowly add in one cup of flour at a time until the dough is no longer sticky. Lightly oil a new bowl, place in dough, drizzle with more oil and cover with a towel. Let dough rise for 6-12 hours. Punch down dough and bread into two. Shape into rounds or ovals. Place on baking stone or baking sheet. 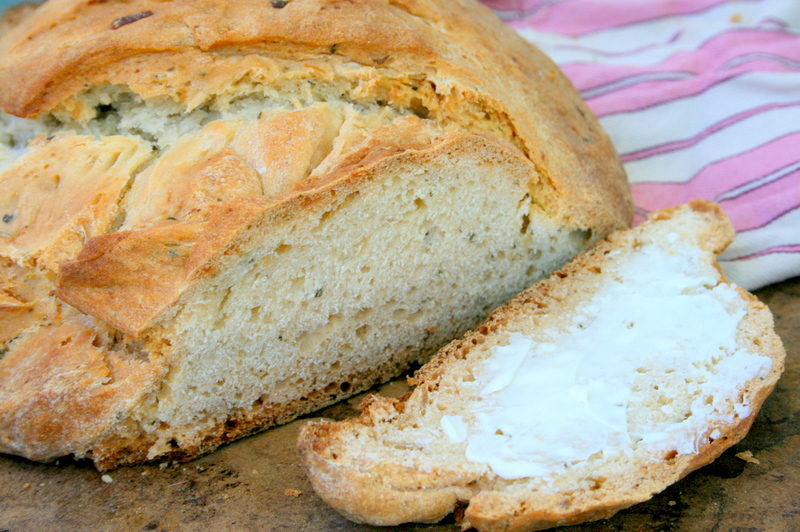 Bake at least 50 minutes and one loaf at a time. Can’t wait to try this! Would love it if you would have print capability for recipes on each page with the recipe… is that doable? Laura, you might also try highlighting the recipe, then right click. An option to print should come up. Hope this helps. 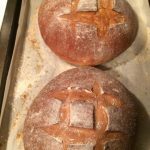 I can’t wait to try this bread too! How long should the dough bake? thanks–I agree, great site! Never mind–I found the cook time at the top of the page! Sounds so yummy! I can’t wait to try this one! @Laura–I copy and paste the recipe into my Word document and print it from there. Might this help you? I am just wondering why you stress baking one loaf at a time? I have a large oven, and large baking sheets. What would happen if i tried to bake both loaves ot once??? When you say to use “starter,” do you mean ‘after’ it is fed before divy-ing up? Right before I make my usual bread, I add flour, sugar and milk and then divide up into 4 bags with 1 cup of starter in each and then use my remaining starter that has just been fed. I made this today and it was really tasty! It didn’t really rise though. I left it for about 7 1/2 hours and it had barely risen at all. So I just went ahead and baked it. I did it in bread pans. And it was very tasty both with butter or with cheese melted on a slice. 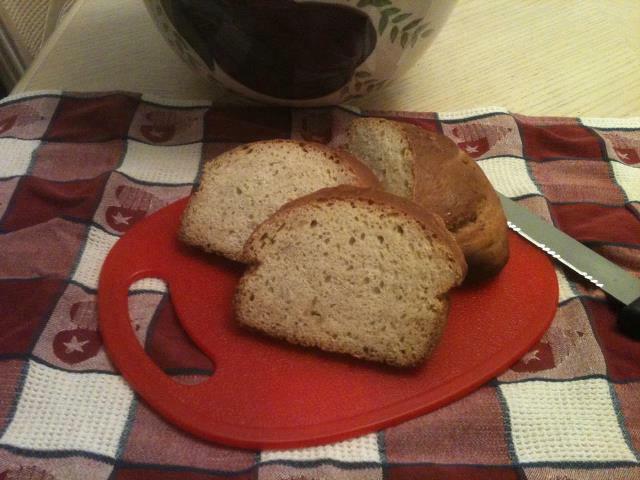 I also used one cup of whole wheat flour. Did you grease your bread pans? I like having the “regular” bread shape for sandwiches. 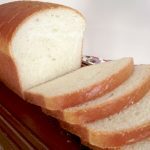 Does the dough rise at room temperature or in the refrigerator? Is the one cup of cooked potatoes mashed or do you just add them in the cut up size that you boil them in? This looks delicious! I’d love to make it for my mom and husband! I haven’t even got my first starter to day 10 yet and I LOVE this site. Hi Carmen! Welcome to the Friendship Bread Kitchen! Can’t wait to hear what you end up baking!